If you want to major on a niche part of your offering proactively, the best solution is sometimes to create a distinct platform to facilitate focused marketing. 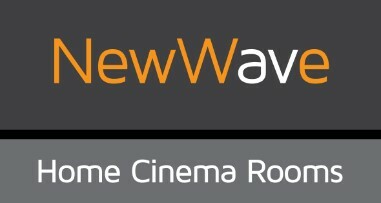 That was the business development strategy of established audio visual firm New Wave AV, which wanted to capitalise on the growing demand for home cinemas with a bespoke sub-brand and website. We were delighted to partner with Kent website design agency What If Solutions, creating the content for their new website for New Wave Home Cinema Rooms. We began with a discovery process to understand New Wave’s offering, values and points of difference from their competitors, as well as the key triggers for their customers. From this, we created website content that resonates with New Wave’s target market and communicates clearly why they should be the first choice for people considering a home cinema room. The content was structured to work within the modern website design created by What If Solutions, and built around agreed keywords to boost SEO to help target customers find New Wave Home Cinema Rooms. ‘Working with Sharp Minds Communications made the whole process of getting our new website up and running much easier. We would have struggled to identity what we needed to say and how we could structure it to work within the website design. Sharp Minds’ expertise meant they quickly got to the nub of what we do – our values, expertise and passion – as well as the key factors that our clients are looking for. The content Sharp Minds created communicates that clearly, giving us a platform from which to capitalise on the growing home cinema sector. SERVICES & OUTPUTS: Discovery process, messaging strategy, research, content creation, website content.